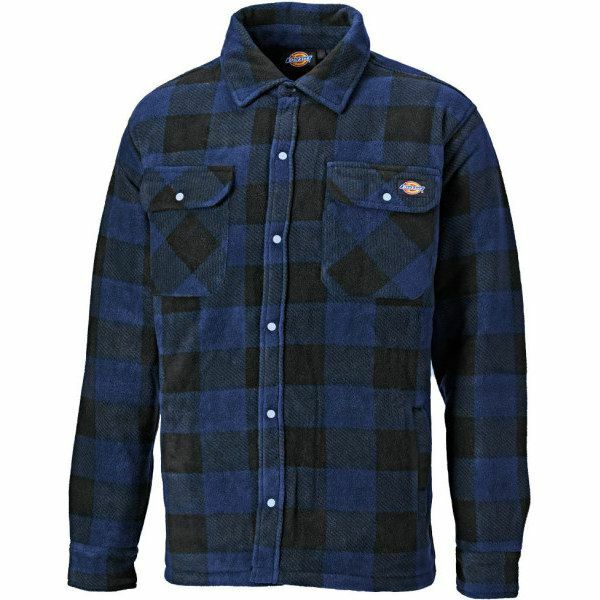 Portland Shirt Royal Blue Large The Dickies Portland Shirt is a high quality padded shirt, made from polar fleece. Studded front opening allows for quick and easy on and off, whilst the garment has studded chest pockets and hip pockets. This shirt will ensure you stay warm and comfortable. The 'lumberjack' look given by this shirt has increased in popularity in recent years and this is now one of our best selling garments online.